There are no trees I hate (all trees are beautiful in some way), but conifers are my least favorite I guess. I agree! But this doesn't really belong in the weather forum. Neither does the palm tree debate thread. I agree on your choices, beautiful! There are thousands of species of trees, especially in the tropics (temperate trees are extremely boring in comparison)...I like the look of SE Asia's dipeterocarp forest. Of the more than 2,600 palm species...the coconut is far from the best looking either (overrated imo). 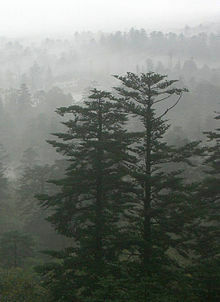 Don't really care for the look of willows or pines, although pines do look nice from a distance. The last photo of the "mangrove" tree is actually a screw-pine (Pandanus sp.) which is more closely related to palms than dicots. Favorite: Japanese maple. I admire the very elegant shape and beautiful color. 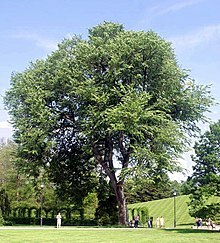 Least favorite: Ginko and any other tree that drops off smelly, ugly stuff every year. 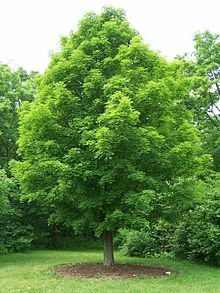 If you've never encountered a ginko, the Washington Post described it thusly, "The bouquet of a ginkgo tree’s fruit has strong notes of unwashed feet and Diaper Genie, with noticeable hints of spoiled butter." 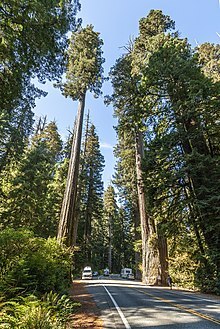 My favorites are the California Coast Redwood (Sequoia Sempevirens), the Douglas Fir (Pseudotsuga menziesii) and the Ponderosa and Jeffrey Pines (Pinus ponderosa and jeffreyi); the last two named have been known to crossbreed. Last time I tried posting images it was a disaster but in a nod to Ariete, I'll try again. London Plane tree looks great. Why don't you guys London-natives talk about it? 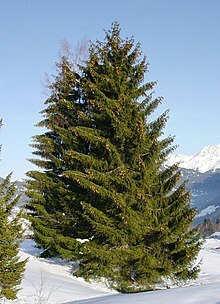 Coniferous trees look better in winter, deciduous trees look better in summer.